The Magical Tipster is in a tizzy. He believe he has The Grand National winner for 2018! As we all know, The Magical tipster is a warrior when it comes to betting against the bookies even though he is a bookie himself. So when he started furiously writing notes after the Ladcrooks I mean Ladbrokes Trophy Chase may have provided the 5 for one of the oldest systems to exist in racing. Backing the 5 horses that finished ahead of the field constantly during the winter will earn you lots of cash. 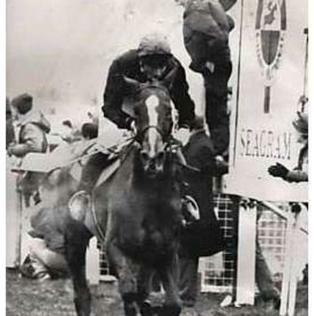 Here are the 5 gems and you never know one of them could be the Grand National winner like Maori Venture (1976 – 2000) the 1987 Grand National which The Magical Tipster legendary had over £125 each way on. PokerKnave's Blog Braqueur D'Or, Grand National, Pilgrims Bay (IRE), Regal Encore (IRE), Total Recall (IRE), Whisper (FR). permalink.